For Florida backcountry anglers, this time of year has a very different meaning. The prelude to the tarpon run. Snook season. Plentiful live bait. Warmer waters. And most importantly, hungry fish. Snook begin moving out of creeks and canals into skinny water, ready to beef up in preparation for spawning. Redfish are doing whatever they want, as usual; lurking along mangrove shorelines, flats, jetties and potholes. And popular wintertime species such as trout and sheepshead are still present for the catching. The most notable change to report is the abundance of whitebait we've been able to find on the Gulf Coast. A few throws at a marker or Boca Coast chum on the flats and we are able to load the livewell with all the bait we need in a single net load. I stumbled across a video by Capt. Ben Chancey reporting "the most bait ever on the West Coast," loading up 75-100 lbs. in one cast. 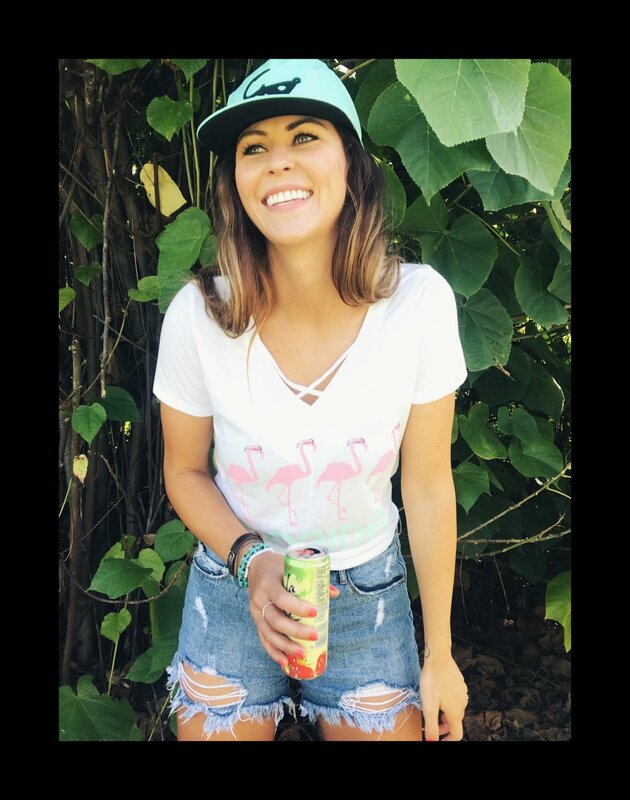 Admittedly, I've grown to love casting artificial baits and learning how fish react to different types of retrieves or what colors produce a higher strike rate in different estuaries. BUT nothing beats the confidence that comes with casting a hearty whitebait in a fishy-looking spot. Guaranteed catch? Well, of course not. But I'm pretty certain there's not a gamefish out there that won't happily clobber a pilchard when presented the opportunity. March 2nd was the first day in months that we found (or even pursued) the bait schools. Whitebait (aka pilchards or scaled sardines) is the alpha-bait of all baitfish and is most available in March through November when water temps are warmer. We took to the canals and were met with an arm-pumping jack attack. The fish were extremely aggressive and we could hardly get a bait past them. But, I'll take a good fish fight over no fish fight any day. Large sheepshead and mangrove snapper were on fire under the docks and we reeled in some keepers for an evening of Mike's famous fish tacos. 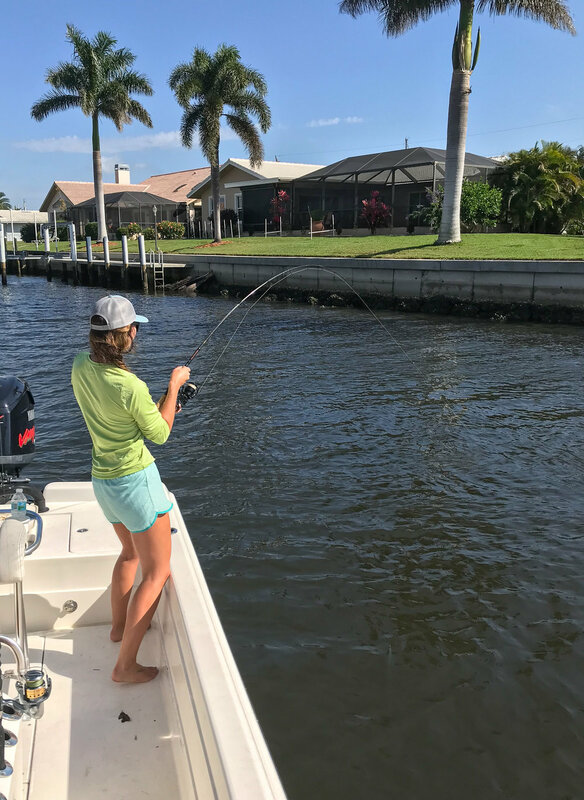 We ventured all over Charlotte Harbor, from the East Wall, all the way up Peace River to home base and the trusty whitebait produced at nearly every stop. A few river snooklets were more than happy to take us up on our offering. March 5th brought blue, clear skies, a light easterly breeze and bigger fish. We made the run across the harbor and around Cape Haze to Boca Grande. Thanks to Capt. Mike Downs' stealthy poling across the shallows, this overslot Red tucked deep in the mangroves never saw (or heard) us coming. 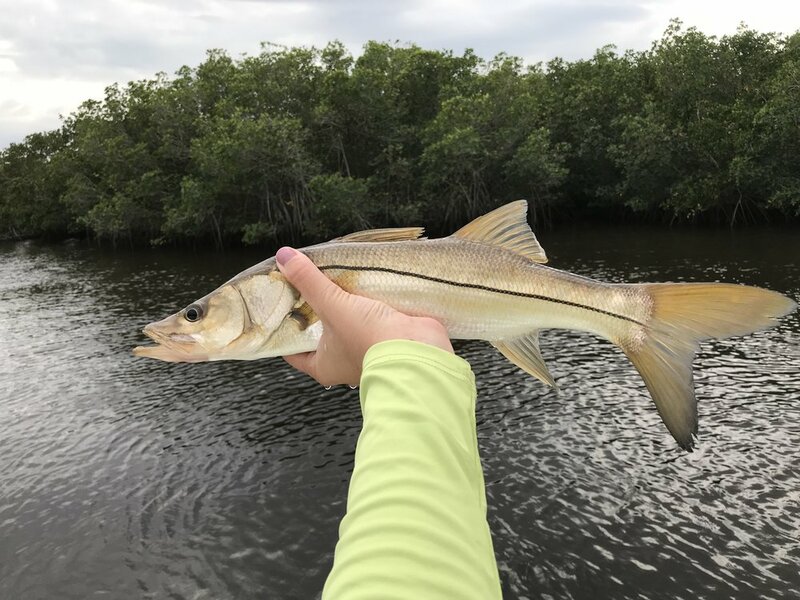 Florida snook season in Gulf waters reopened on March 1st and there has certainly been no shortage of action. Just one glance through your Instagram feed or the latest issue of Florida Sportsman magazine and you'll be met with countless grip-n-grins featuring stud snook.